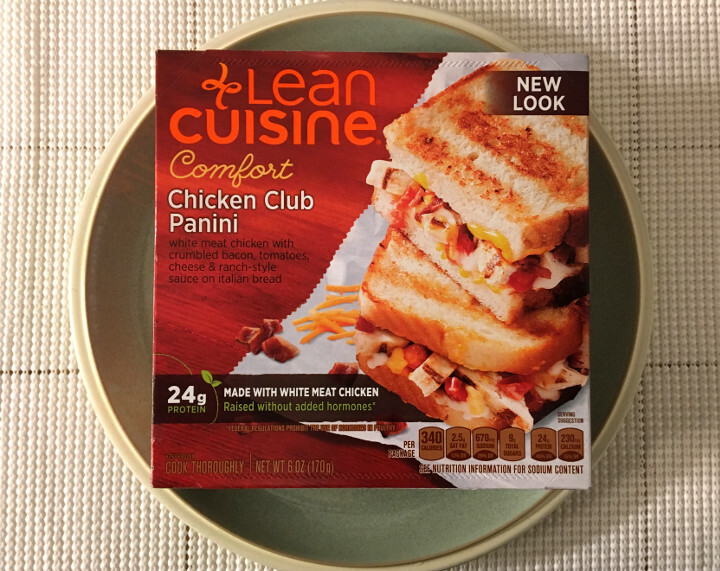 We reviewed the Lean Cuisine Chicken Club Panini when it was part of the Craveables line. 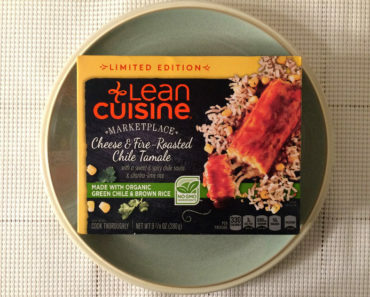 Back then, we called it “a win,” and said, “It’s not easy to get a frozen panini to turn out okay, but Lean Cuisine has discovered the secret.” Hmmm, that sounds pretty good, right? So we’ve been looking for an excuse to review this sandwich again. 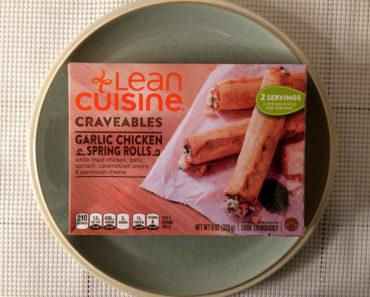 Now that Lean Cuisine has moved this from their Craveables line to their Comfort line, we finally have the excuse we’ve been looking for. 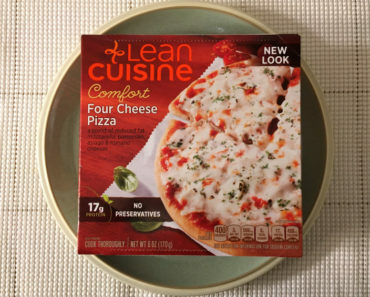 So today we’re going to re-review the Lean Cuisine Chicken Club Panini. 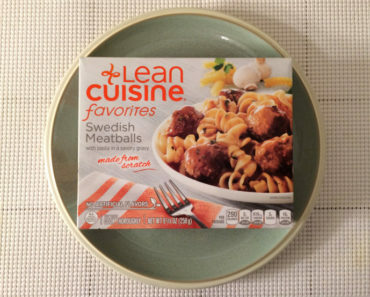 Just like the last time we tried this, we’re pretty happy with how easy it is to cook. 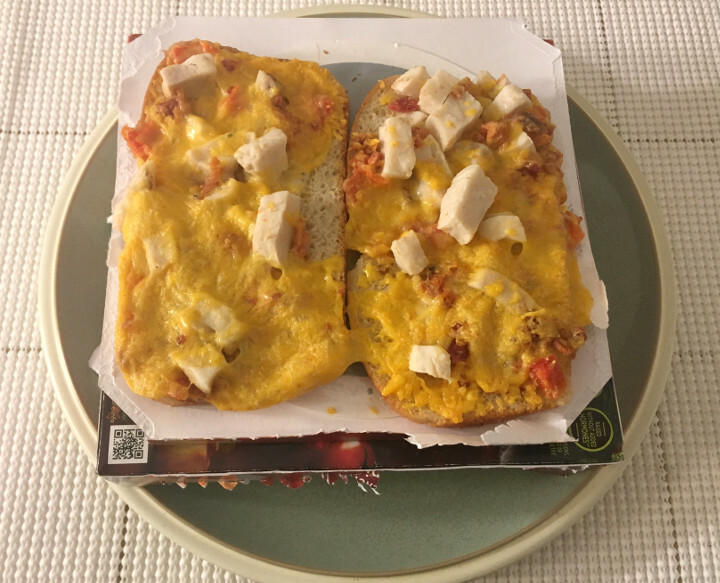 Simply fold open the box, plop the crisping tray on top, stick the two halves on the sandwich on top of that, then microwave for two minutes and 45 seconds. Now, we certainly remember this sandwich turning out quite a bit more crispy than it did this time. Our bread was a bit soggy, and especially so on the underside. This isn’t the end of the world, of course, but soggy bread is kind of a bad start for any sandwich. Thankfully, the flavor is still quite good. 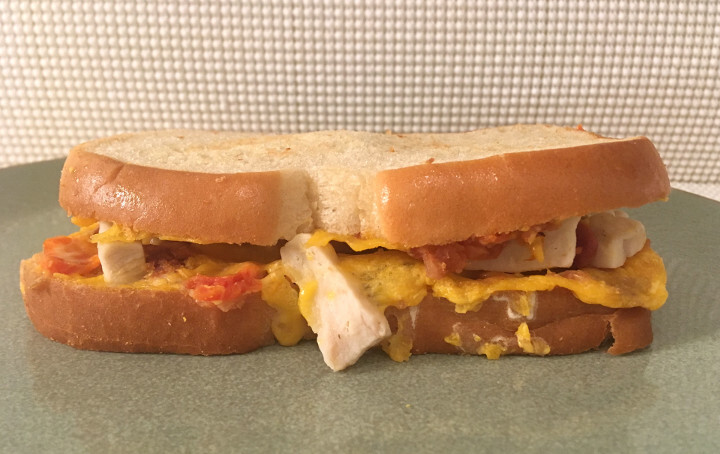 This has a blend of white-meat chicken chunks, bacon, diced tomato, and cheddar cheese. While each of these things is rather unimpressive on its own, they combine to make up a pretty tasty flavor. Somehow, in the transition from Craveables to Comfort, this panini dropped a few calories. 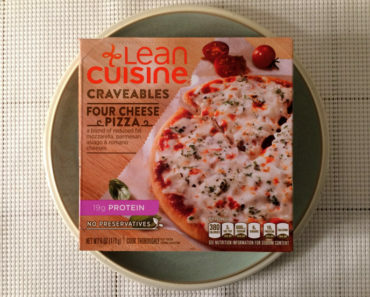 The last version we reviewed contained 350 calories (80 from fat), while this updated version is down to 340. However, it gained some sodium, rising from 620 mg to 670 mg. We’re not really sure what happened here, but it seems a bit strange to us. 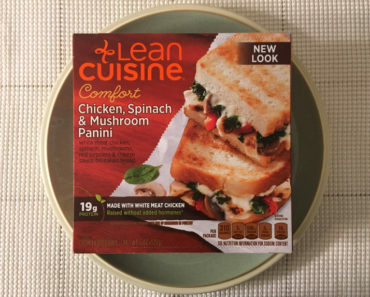 The Lean Cuisine Chicken Club Panini isn’t quite as good as we remember it being, but it’s still pretty tasty. Just watch out for that sog factor, because it’s certainly a thing here — even with proper use of the crisping tray the bread won’t maintain the proper crisp of a toasted panini. To learn more about the cooking instructions, nutrition content, or ingredients for this frozen panini, check out our package scans below.